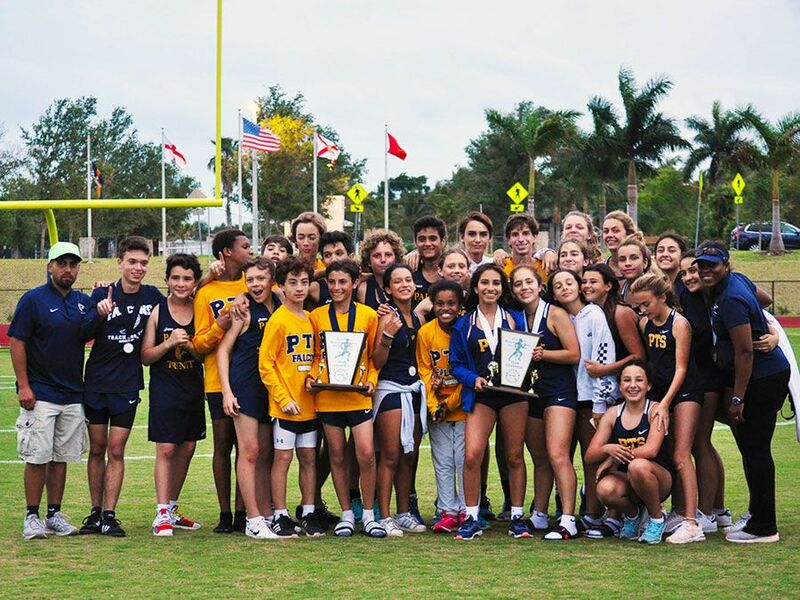 On Wednesday, April 3rd, the Middle School Girls Track and Field team made school history, while the Boys team defended the South Florida Middle School Conference Championship. We witnessed a collective effort of commitment, dedication, desire, and a successful execution to victory from both our Girls and Boys teams. 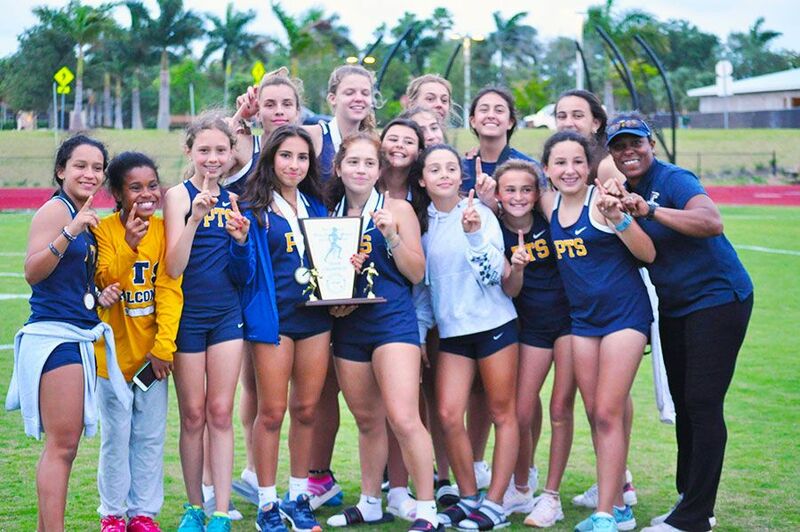 This is the first time in the history of the school that the Middle School Girls team wins the Conference Team title. The team's leading scorers on the girls' side were led by Sarah Bayas with 28 points, second support is Simone Schedwel with 27. Emily Montes scored 23.5 points, Julia Carbajales ran with 18.5 points; Amaia Vadillo had 16 points, and Kata Pena was also an equal with 16 points. Kirsey Smith scored 7.5 points, Fernanda Kimball had 4, and Isa Westgate finished with 3.5 total points. Our leading scorers on the boys' side were Austin Foster with 40 points, second support was Luca Martinez with 34 points. Eddie del Rosal scored 16 points, Marco Ross had 10 points, equal to Jack Nelson, and Corbin Berg and AJ Navarro were 9-points strong. Thomas Hudson and Henry Stark each scored 7 points. Tomas Medellin earned 6 points and Luke Assalone had 5 points. 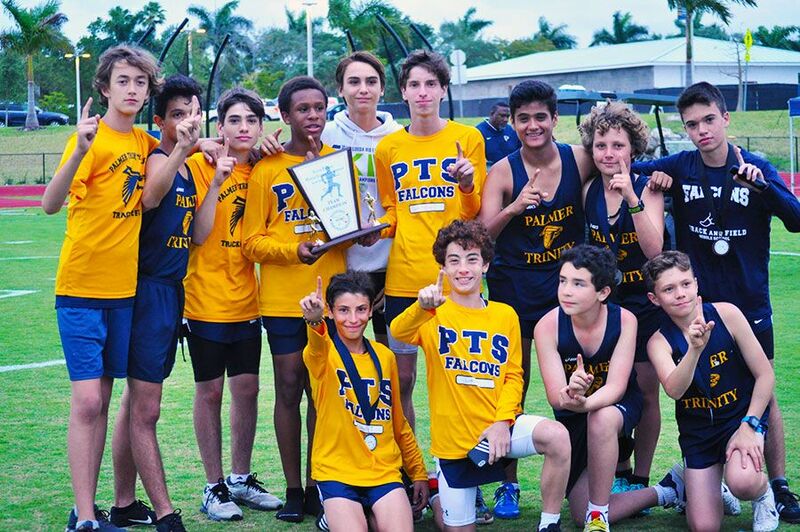 Matthew Rodriguez, Fabio Barp, and Drew Kaplan all scored 4 points each, and Greg Tindle scored 3. Throws Report: It was a big day for the throwers. Austin Foster placed first in the discus with a monster personal best of 135' 7." The performance has him now ranked #1 in the entire state of Florida and #12 in the U.S. (middle school). Corbin Berg also had a personal-best throw of 80' 10" which was good enough for 4th. Thomas Medellin (80' 4") finished 5th and A.J. Navarro (67' 2")had his best throw ever and placed 9th. On the girls' side, Sarah Bayas finished first overall and set a personal record in the discus with a throw of 80' 4." Bayas, who continues to be the top-ranked 7th-grade thrower in the state, is also now the 4th-ranked thrower in Florida - ALL grade levels. Katarina Pena finished 3rd overall and Helena Rodriguez came in 10th. Staying with the girls, Emily Montes had one of the most surprising performances of the season. After never having done the shot put and having just practiced the event once all year on the Monday before the event, she qualified for the Middle School State Meet and finished 2nd overall by throwing a mind-boggling 30' 6". Bayas continued her fantastic day placing 3rd overall in the shot put by throwing a 6-foot personal best of 27' 1.5". Fernanda Kimball and Gaby Pena also did well, finishing 13th and 14th overall. On the boys' side, Navarro set another personal best in the shot put with a throw of 25' 0" finishing 5th overall. Drew Kaplan competed for the first time in the event and placed 6th overall with a throw of 24' 1", and Fabio Barp rounded out the Palmer throwing performances with a respectable 10th place finish.